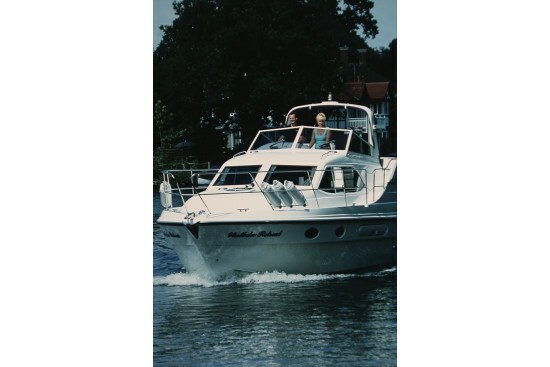 A graceful motor cruiser designed by John Bennett, the Sheerline 1050 is a sound choice for river or estuary all-weather cruising. 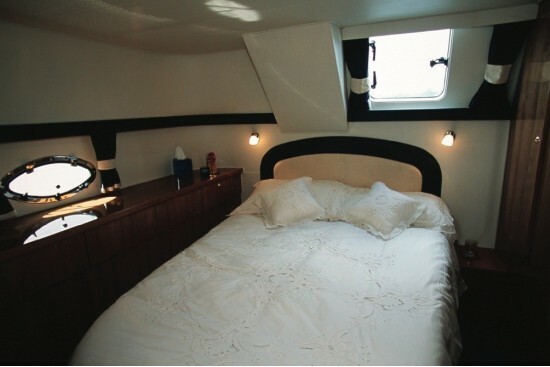 The accommodation, available in 4 or 6-berth layouts, gives a true feeling of luxury with a spacious saloon and well-equipped horseshoe-shaped galley and a good amount of storage throughout. 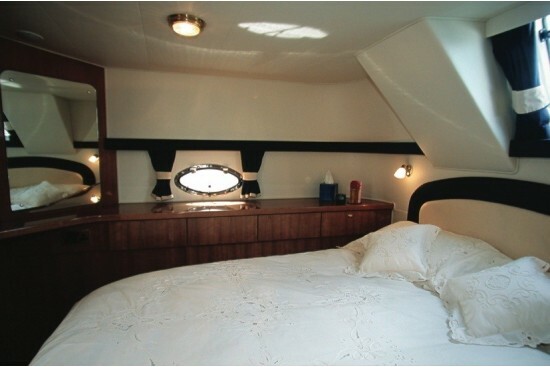 Each cabin is serviced by its own toilet and shower compartment. 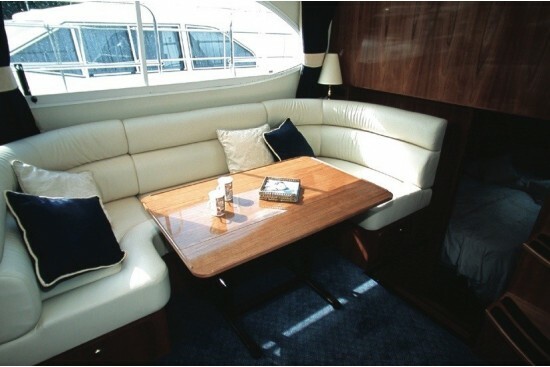 The Sheeline 1050 Aft Cabin is a joy to helm being very stable and directional with good all-round visibility. It is very much at home on waters such as the Broads and the Thames up tp Osney Bridge. 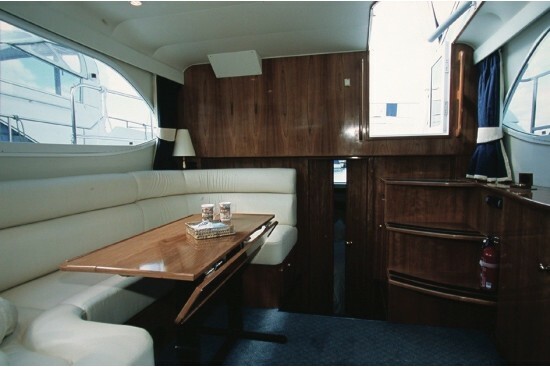 Power is available from a wide choice of single or twin diesel engine options in a semi-displacement hull. 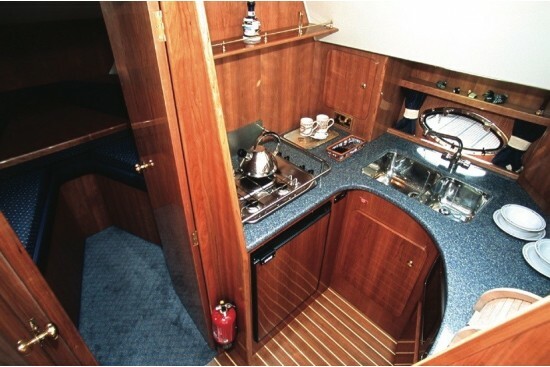 With the optional bow and stern thrusters, negotiating tight moorings is made very easy.